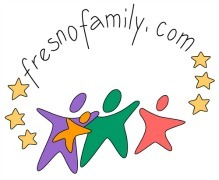 Here’s a list of family-friendly things to do within Fresno, or the surrounding areas. I’ve included links to websites where applicable. If you have any to add…please email me via the contact page. Coarsegold Historic Village, 35300 Hwy 41, On the corner of Raymmond Rd & Hwy 41–Turn left at the teepee. Hillcrest Christmas Tree Farm & Railroad2 miles north of the town of Reedley at 6943 Reed Avenue. Also has a pumpkin patch, open to the public fall weekends! 13505 S. Chateau Fresno, Caruthers, CA 93609. Phone: 559-896-4225. CSUF Farm Tour — early Sept through mid May, $2/child, must be at least 5yrs, and at least 12 students. Huebert Farms – Peaches, nectarines, plums. Scary Corn Maze at Halloween Time. 21570 E Lincoln Ave, Reedley, CA, 93654. Phone: 559-638-5650 or 559-638-4740. Open: May 15 – September 15. Directions: From Hwy 99 take Manning Ave Exit. Go East through Reedley. Turn left on Alta Ave. Take a left when the road T’s into American Ave. We are the first packing house on left. Alta is the main road taken by buses to go up to Kings Canyon Park. We are one-eighth of a mile off the route. U-Pick Thompson Seedless Grape business. Open mid-August to the first week of September. Clipers, carts, and boxes are provided free of charge. Boxes are free to take your grapes home. A small assortment of farm animals are provided for the children’s enjoyment for free also. Directions: Take Freeway 99 to the Bethel Ave. (Kamm Ave.) Exit, travel south on Bethel until the road deadends at Elkhorn Ave., Turn right (west) on Elkhorn and go a short distance until you reach the intersection with Bethel, Turn left on Bethel (south) at the PG&E power station, Travel about a quarter-mile and the J&K Farley Farm will be on the right. Organic Pastures–Organic Dairy Farm–Call Leslie 559-351-4544 or email–You may tour the bottling facility, observe dairy operations, and meet the cows. Pumpkin King Pumpkin Patch – pumpkins, pumpkin patch- already gathered from the field, straw or hay bale maze, child-sized haybale maze, prepicked produce, snacks and refreshment stand, restrooms, picnic area, face painting, pony rides, birthday parties, school tours. 100 W. Shaw Avenue N/W corner of Blackstone & Shaw Avenues, Fresno, CA 93711. Phone: 559 658-2006. Fax: 559 658-2015. Email: info@pumpkinsfresno.com. Directions: West of Highway 41 at the Shaw Avenue exit on the North West corner of Blackstone & Shaw Avenues. Crops are usually available in October. Open: 9 AM to 9 PM 7 days a week Pumpkin Patch and Straw Bale maze is open from October 1st through October 31st. Payment: Cash, Check, Visa/MasterCard. The Great Pumpkin Blood Drive 8 AM to 6 PM Friday October 11 and Saturday October 12th. 2901 E. Alluvial , Fresno, , CA 93720. Phone: 559-323-9016. Crops are usually available in October. Hours are 11am till 10pm. Haunted barn hours are 6pm till 10pm Payment: Cash, Visa/MasterCard. 5051 12th. Avenue, Hanford, CA 93230. Phone: 559-269-1152. Fax: 559-589-0420. Directions: South East corner of 12th and Excelsior Avenues in Hanford, CA. This is 30 minutes south of Fresno, 25 minutes West of Visalia. Crops are usually available in May, June, July, August. Open: We have a refrigerated, pre-picked fruit stand that is open from 7 AM to 7PM for seven days a week during the harvest season. During the season we are open for you pick and roadside sales from 7AM to 7 PM Tuesday through Saturday and all other times by appointment. We follow organic methods, but are not yet certified. Riverdance Farm – 12230 Lingston-Cressey Road, Livingston, California 95334. Also, Prepicked: Certified-organic walnuts, almonds, pecans, blueberries, cherries, pomegranates, persimmons, cut flowers, lavender, and, in the winter, oat hay. They host you-pick days during the annual Heartland Festival with the Merced River Fair with a lower key, breakfast, u-pick and farm tour morning on Sunday June 3, 2007. Our second blueberry u-pick will be Fathers’ Day weekend, F-S-S. Call with any questions (209) 761-0081. In the future, they would also like to offer flowers, stone fruits, and pumpkins on a you-pick basis. 41255 Road 40, Reedley, CA 93654-9140. Phone: (559) 897-3685. Fax: (559) 897-7120. Email: mikesatterstrom@sierratel.com. Open: October 1st – October 31st from 10 am to 6 pm. Nighttime Events: Open the 2nd Friday in October through October 31st, Sunday – Thursday: Dusk – 10 p.m. and Friday and Saturday: Dusk – 11 p.m.
13378 E South Ave, Parlier, CA. Phone: 559-646-2586. Sweetwater Berry Farm – 42961 Rd 628 , Ahwahnee, CA 93601. Phone: 559-658-8511. Crops are usually available in September. Open: Monday to Saturday 8:00 a.m. to 6:00 p.m. Blackberries July 14 thru August 20. Raspberries September thru Oct 14. Public bathroom available. Wiebe Farms Tour—Peach/nectarines farm…tour the packing farm and packing plant in the spring and summer. School rates are $5/person. Email Lavone Sawatzky, tour director. 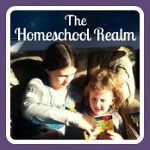 We have curriculum written for kids to introduce them to what they will see and learn. The school tour takes about 1 1/2 to 2 hours. The tour also includes a snack. We prefer to do the tours in the morning because it is cooler. Students also enjoy bringing their lunch and eating out under the trees, by the barn and on the tour trailer. Adventure Park, Hanford, 582-6000, Pizza, arcade games, batting cages, race cars, bumper boats & miniature golf. 292-9000, Miniature golf, arcade, bumper boats, amusement rides and more. Does anyone have ideas for 7th grade field trip? The Artist In Me is a great place for friends and family to be creative together. Create a 16×20 acrylic painting on canvas in just two hours. $25 for a two hour painting class during the day. Go home with a finished painting. All ages paint together. I am a child care worker supervisor at a group home for kids ranging from the ages of 12-18. We are a non-profit organization. I would like to know if anyone can point me in the right direction for any free tours that we can take our kids for the summer. We have tree boys and 18 girls. I teach 4th and 5th graders and am interested in the Discovery Center in Fresno. Any comments on this place? Good, bad, awesome?? It is my first field trip so any info would be great. The Discovery Center is GREAT, but unfortunately only open on weekends at this time. The museum is only open on weekends, but that will change soon. The Grand Opening is coming up Mar 23 and I believe they will be open more after that. It would be easier to answer this question if you had a more specific question, I think. Is there a specific location you would like to know about toddler-friendliness? Does anyone know of a “worm farm” that does tours???? This would be a place where worms are harvested for sale …. Sorry, Valerie, I’ve never heard of anything like this. Let me know if you do find something! I’d love to include it on my site! I can tell you that there is a small worm farm on The Discovery Center’s property, though not for harvesting…it’s to teach kids about worms and vermicomposting.